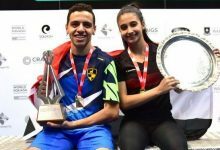 Top seeds Mohd Azlan Iskandar and Madeline Perry triumphed in contrasting styles in the Cannon Kirk Homes Irish Squash Open, the established men’s and women’s Tour event at the Fitzwilliam Lawn Tennis Club in Dublin. 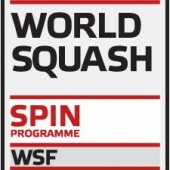 Ireland’s Madeline Perry won her fourth Irish Open trophy after beating former champion Vanessa Atkinson, the fifth seed from the Netherlands, 13-11, 11-8, 11-6 in 44 minutes in the final of the women’s $25,300 WISPA World Tour event. Perry made several uncharacteristic errors in the first game – but saved a game ball to open up a one-game lead. 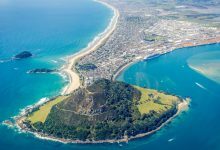 It was a popular home triumph for the 33-year-old from Banbridge, near Belfast – just two weeks after Perry won the biggest title of her career at the Australian Open in Canberra. The win, the eighth WISPA Tour title of Perry’s career, also marked her first Tour victory over Atkinson, the Irish Open champion in 2003 and 2004, in seven meetings since 2002. 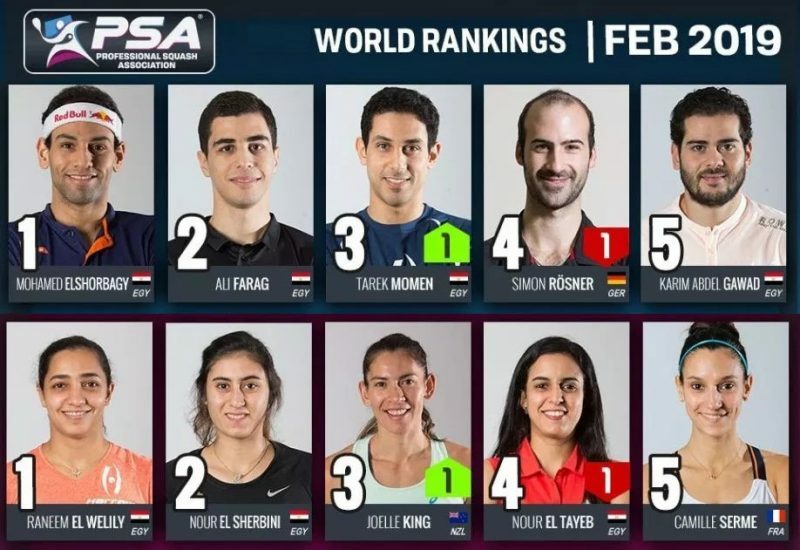 An epic five-game match brought the men’s $25,000 PSA World Tour event to a climax – with both players recording their longest matches of the year as Iskandar beat Spanish qualifier Borja Golan 11-9, 8-11, 9-11, 13-11, 11-5 in 100 minutes. 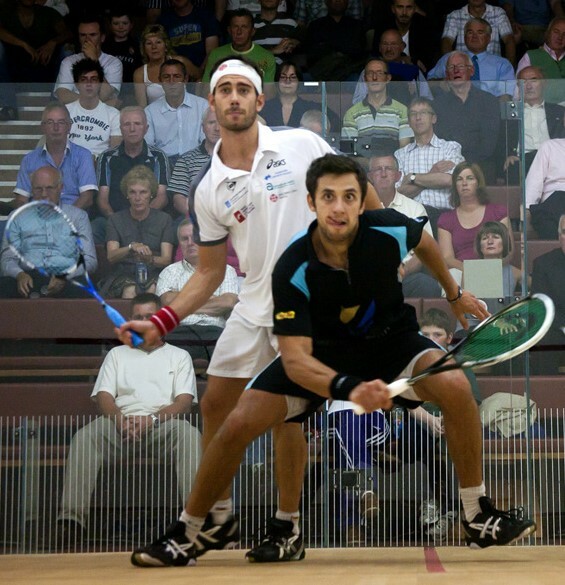 Indeed Golan, the former world No10 in his third successive Tour final after recovering from knee surgery, had two match balls in the fourth game. 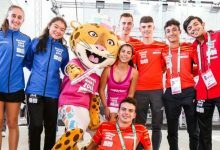 The first four games were tightly-contested but Iskandar’s greater fitness levels ultimately prevailed as the world No14 from Malaysia clinched the decider 11–6. Iskandar, runner-up in the Dublin event in 2008, is celebrating the 13th PSA Tour title of his career. 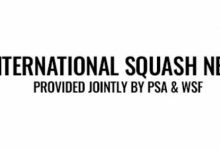 Both top seeds will contest the finals of the Cannon Kirk Homes Irish Squash Open in Dublin – but against unexpected opponents on the final day of the established men’s and women’s Tour event at the Fitzwilliam Lawn Tennis Club. Mohd Azlan Iskandar, the 2008 runner-up from Malaysia who is the men’s favourite, cruised to his third successive straight games win in the $25,000 PSA World Tour event by beating England’s fifth seed Chris Ryder 11-8, 11-4, 11-2. The 28-year-old world No14 from Kuala Lumpur is celebrating the 15th Tour final appearance of his career, and the third of the year. 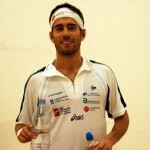 Spaniard Borja Golan reached his third PSA final of the year as a qualifier – and notched up the 30th of his career – after battling to an 8-11, 11-0, 9-11, 11-1, 11-4 win over fellow qualifier Gregoire Marche, of France. 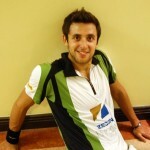 Golan, a former world No10, is on a comeback trail after undergoing major knee surgery. Ranked outside the top 100 four months ago, the 27-year-old has already made significant progress – with two Tour titles under his belt since June. 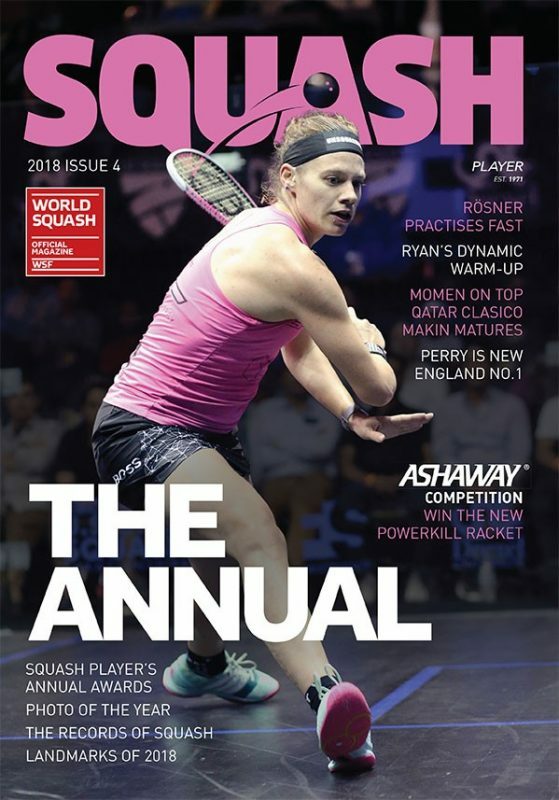 Irish star Madeline Perry earned her fifth appearance in the women’s $25,300 WISPA World Tour event final after beating England’s fourth seed Laura Massaro, the 2008 champion, 8-11, 11-9, 13-11, 11-9 in a keenly-contested 66-minute encounter. The 33-year-old from Banbridge, near Belfast, earned the biggest title of her career at the Australian Open last month – and will be hoping to win her fourth Irish Open title since 2005. 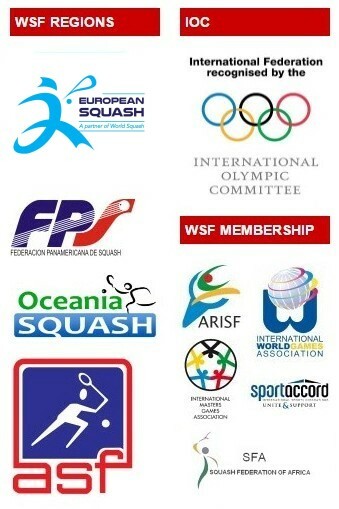 But the top seed’s opponent will be Vanessa Atkinson, the former world champion from the Netherlands whom she has not beaten in six Tour meetings since 2002 – two of which have been in the Irish Open (in 2003 and 2004). 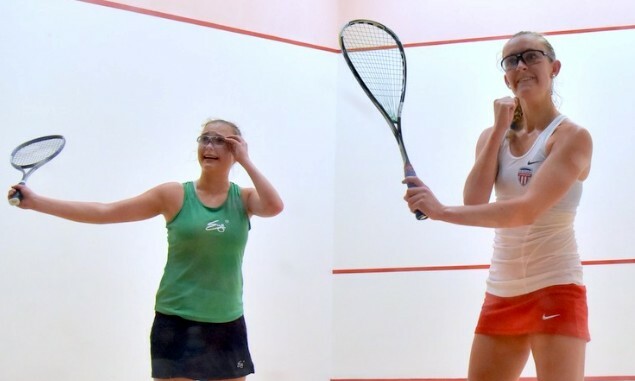 Atkinson, the fifth seed, denied the crowd the event’s first ever all-Irish final when she beat Aisling Blake, the No7 seed from Sligo, 11-7, 11-6, 12-10. 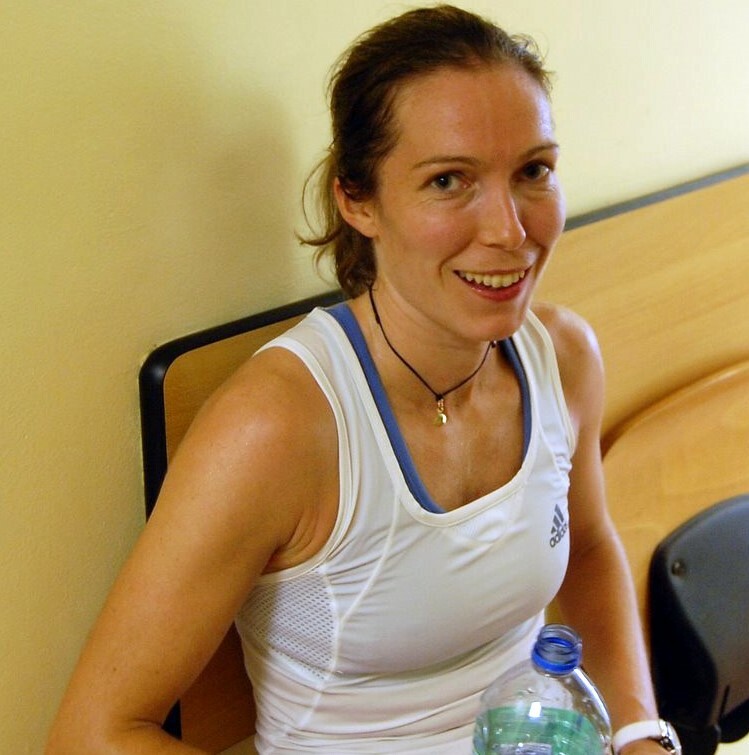 The win takes Atkinson into her second WISPA final of the year – but the 38th of her career. 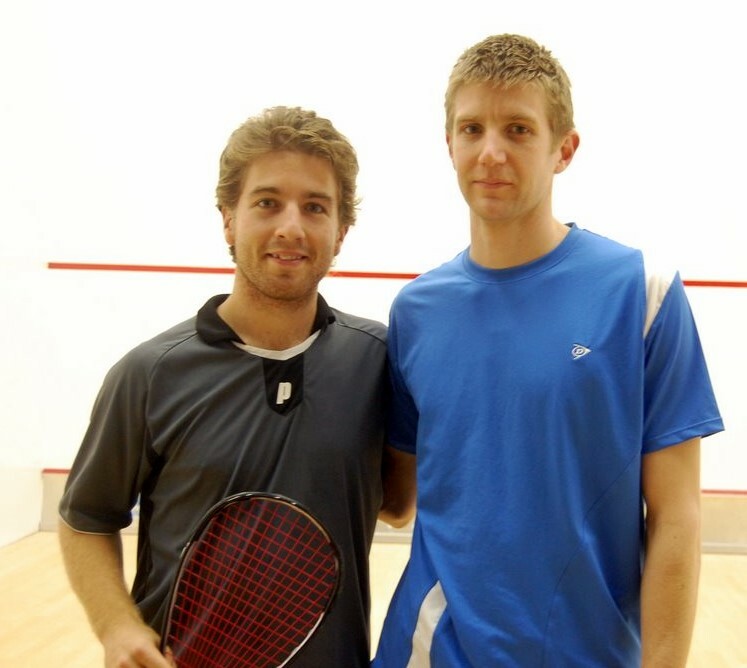 Qualifiers Gregoire Marche and Borja Golan will meet in the men’s semi-finals of the Cannon Kirk Homes Irish Squash Open in Dublin after another day of upsets in the established men’s and women’s Tour event at theFitzwilliam Lawn Tennis Club. 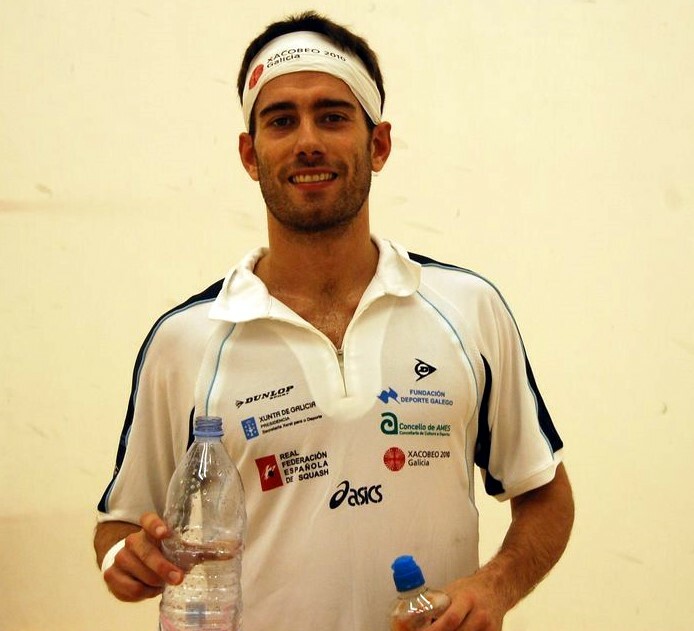 Frenchman Marche ousted fellow qualifier Bradley Hindle, from Malta, 11-8, 11-8, 12-10 in the quarter-finals of the $25,000 PSA World Tour event to set up the meeting with Golan, the former world No10 from Spain who defeated France’s unseeded Mathieu Castagnet 11-7, 11-9, 11-7. There was an upset in the top half of the men’s draw where fifth seed Chris Ryder battled for 77 minutes to overcome English compatriot Joey Barrington, the No3 seed, 11-8, 11-7, 9-11, 11-8. 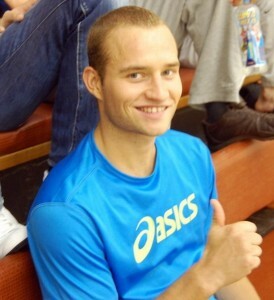 Ryder, a former World University champion from Leamington Spa, will now line up against top seed Mohd Azlan Iskandar, the 2008 runner-up from Malaysia who despatched eight-seeded Englishman Chris Simpson 11-5, 11-9, 11-4. An all-Irish final is in prospect in the women’s $25,300 WISPA World Tour event after Dublin-born seventh seedAisling Blake upset Natalie Grinham 11-4, 11-4, 9-11, 11-3. 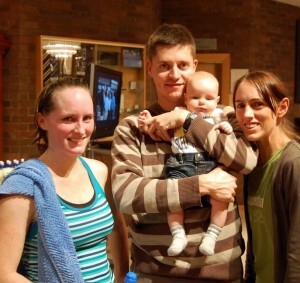 Grinham, a former world No2 from the Netherlands, was making her Tour comeback in Dublin after the birth of her first child, son Kieran, in May. Blake, the 29-year-old world No26, will face Dutch opponent Vanessa Atkinson for a place in the final. Atkinson, Irish Open champion in 2003 and 2004, beat Natalie Grainger, the second seed from the USA, 11-7, 11-6, 11-7. 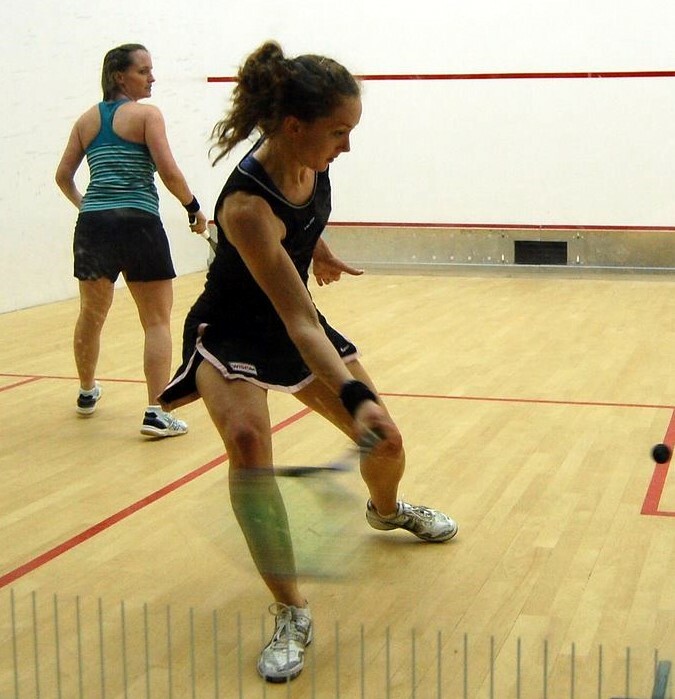 Local favourite Madeline Perry is just one win away from her fifth appearance in the final in six years. The world No6 from Belfast, winner of the title three years in a row from 2005, defeated English qualifier Victoria Lust 11-7, 11-5, 11-3. Perry will play England’s fourth seed Laura Massaro. The 2008 champion had to fight for exactly an hour to overcome sixth-seeded compatriot Sarah Kippax 7-11, 11-2, 8-11, 11-3, 11-7. 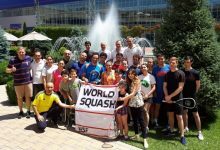 It was a calamitous day for seeds in the Cannon Kirk Homes Irish Squash Open in Dublin where second-seeded Australian Stewart Boswell was the biggest casualty in the established men’s and women’s Tour event at the Fitzwilliam Lawn Tennis Club. 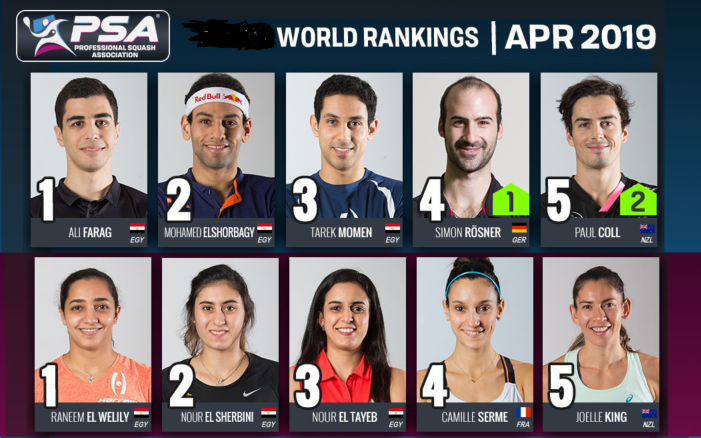 France’s unseeded Mathieu Castagnet claimed the best win of his career when he fought back from two games down to beat Boswell, the world No18, 9-11, 4-11, 11-4, 11-4, 11-5 in the first round of the men’s $25,000 PSA World Tour event. The 23-year-old from Le Mans now takes on Spanish qualifier Borja Golan for a place in the semi-finals. Golan, a former world No10 making his Tour comeback after a long-time knee injury, despatched Hungary’s No7 seed Mark Krajcsak 11-7, 11-8, 11-5. A qualifier is certain to make the last four after Gregoire Marche and Bradley Hindle meet in the quarter-finals. 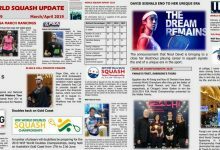 Frenchman Marche downed sixth-seeded Italian Davide Bianchetti 13-11, 11-3, 11-7, while Malta’s Hindle recorded a notable upset when he beat rising Swiss opponent Nicolas Mueller, the No4 seed, 12-10, 12-10, 6-11, 4-11, 11-5 in 68 minutes. English qualifier Victoria Lust also claimed an unexpected place in the quarter-finals of the women’s $25,300WISPA World Tour event. The 21-year-old from Cheltenham defeated Canada’s No8 seed Alana Miller 11-8, 11-6, 11-8. Lust will now face local favourite Madeline Perry, the top-seeded world No6 from Belfast who won the title three years in a row from 2005. Perry, who last month picked up the biggest international tile of her career at theAustralian Open in Canberra, brushed aside German qualifier Sina Wall 11-9, 11-4, 11-4. But all eyes in Dublin were on third seed Natalie Grinham, the former world No2 from the Netherlands who was making her Tour comeback after the birth of her first child, son Kieran, in May. The Australian-born 32-year-old was taken to five games by Annelize Naude but eventually beat her compatriot 11-8, 3-11, 11-5, 8-11, 11-5 after 36 minutes to earn a quarter-final clash with Ireland’s No7 seed Aisling Blake. Natalie Grainger, the WISPA President from the USA who is also on a comeback trail after a foot injury, cruised to an 11-4, 11-6, 11-6 win over Malaysian Sharon Wee – and now faces fellow former world number oneVanessa Atkinson. 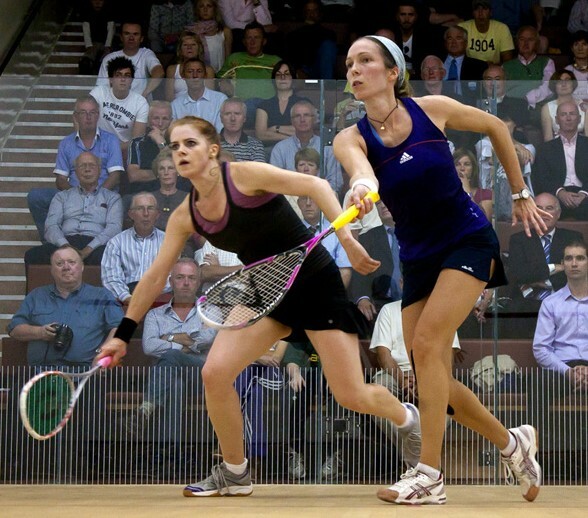 The fifth seed from the Netherlands, champion in 2003 and 2004, beat England’s Lauren Siddall 11-3, 11-3, 11-7.